The three-day event, Annual Forum of the Global Alliance for Climate-Smart Agriculture (GACSA), showcased innovative ways in which farmers around the world are adapting their practices to become more and more climate smart. The forum held in Rome witnessed participation from a number of stakeholders—governments, farmer organisations, private sector institutes, civil society and the academia, who discussed challenges facing the agriculture sector today and shared solutions on how to overcome them. Climate change—the increased frequency of extreme weather events such as droughts, floods and storms— is the most challenging issue of our age. A book detailing how climate change affects food systems says that severity of floods and storms over the past 30 years has put the agriculture sectors of many developing countries at the risk of growing food insecurity. Around 570 millions farms across the world are facing the threat of climate change at present. David Nabarro, the special adviser to the United Nations Secretary-General on the 2030 Agenda for Sustainable Development and Climate Change, said world leaders want a change in “modes of production and consumption”… so that the “needs of future generations are fulfilled”. Stepping up and facing the many challenges in agriculture in not easy. However, the solution may lie in climate-smart agriculture (CSA) that broadly works on three parameters. These are sustainably increasing agricultural productivity and farmers’ incomes, adapting to climate change and reducing greenhouse gas emissions (GHG), wherever possible. Adaptation is the key when it comes to CSA. “We need to transit to a more sustainable food system and mitigate climate change while at the same time adapt to climate change. Communities that are highly food-insecure or particularly vulnerable to climate change will necessarily prioritise adaptation, but many of the changes they might make to enhance resilience will also increase productivity and efficiency of inputs (fertilizer and water use), and even have co-benefits for mitigation,” Meryl Richaards, agroecologist at the CGIAR (Consultative Group for International Agricultural Research) Research Program on Climate Change, Agriculture and Food Security, told Down To Earth. Practices such as inter-cropping, multiple cropping and crop rotation are some of the practices farmers are using to fight climate change. According to a report by FAO, to achieve food security and agricultural development goals by 2030, adapting to climate change and lowering emissions will be necessary. Around 41 per cent of GHG come from agriculture, the CGIAR says. Richaards said there are a number of practices that can reduce emissions from agriculture. One is alternate wetting and drying of paddy. “By reducing the frequency of irrigation (letting the fields drain periodically), methane emissions from flooded rice production can be cut in half,” the CGIAR expert added. The practice was originally developed as a way to save water; so it has potential to be adaptive to climate change as well. Another method that can work is increasing the productivity of milk and meat production. The livestock sector contributes to about 14.5 per cent of human-induced GHG, much of which is methane produced by ruminant digestion. According to food policy specialist Devinder Sharma when we look at climate change, the issue of GHG is important. “Globally rice is targeted for (the) wrong reasons. More emissions come from livestock production,” he said. Sharma blamed the intensive farming system for being the culprit as it involves mechanisation and use of fertilisers. The expert advocated a change in economic policies to stop plundering of natural resources, prevent water contamination and land degradation. When it comes to a comparison between climate-smart agriculture and organic farming, the former is defined by its desired outcomes—agricultural systems that are resilient, productive, and have low emissions. Organic agriculture is defined by the method of production (no use of synthetic pesticides or fertilisers). However, many of the practices used in organic agriculture are climate smart. Organic agriculture enhances natural nutrient cycling and builds soil organic matter, which can also support resilience to climate change and sequester carbon in soils. The forum concluded that climate-smart agriculture can be more effective and successful. A question was asked on what linkages were being established with people working in the sustainable diets sector to which the answer was that sustainable diets and nutrition were important issues and these should be linked to agriculture. Emphasis was also laid on introducing nutrition indicators, by going beyond calories and promoting “from field to fork approach”. In an interview to Down To Earth, David Orr, the regional spokesman for the UN World Food Programme in southern Africa, had acknowledged that climate change was a huge challenge. “The most vulnerable are subsistence farmers who are prone to climate shocks. Extreme weather events are recurring and persistent. They are not isolated events. There is a need to introduce climate-smart agriculture and water conservation system to make local communities resistant to droughts and floods,” Orr said. Climate-smart agriculture can be a solution for Africa as the continent will witness frequent drought and alteration in precipitation patterns in years to come, a CGIAR report says. Africa’s population is predicted to double from its current 0.9 billion by 2050. According to the FAO, more than a quarter of sub-Saharan Africa’s people are undernourished. Crop production will need to increase by 260 per cent by 2050 to feed the continent’s growing population. Better land management practice is one of the ways to fight climate change and increase resilience of farming systems in the continent. 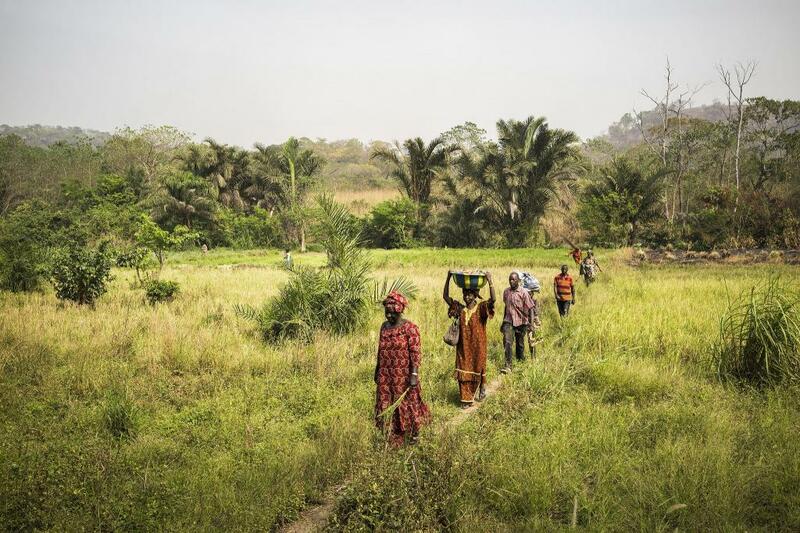 Improved land management strategies used across sub-Saharan Africa are helping protect the environment, boost productivity, strengthen livelihood and enhance food security, according to a new study. In Africa, threats of desertification and land degradation are ever present, especially in Sahel and the southern edge of the Sahara. According to the CGIAR report in Niger, farmers have participated in natural regeneration for the past 30 years to restore lands. Local farmers have helped made green 5 million hectares by protecting and managing the natural regeneration of trees and bushes. In Ethiopia, a project revived 2,700 hectares of degraded forests with a diversity of indigenous species. 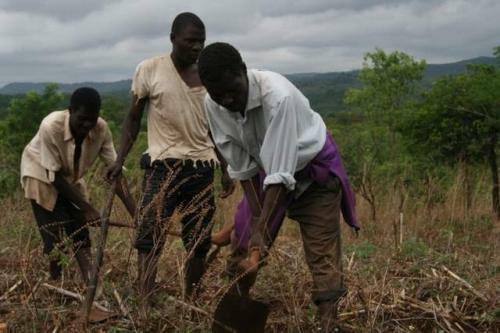 Rather than replanting trees with costly nursery stock, the farmers managed natural regeneration and more than 90 per cent of the project area has been reforested from stumps of trees previously felled. A document, published by the New Partnership for Africa’s Development and its TerraAfrica partners, including FAO, takes stock of lessons learnt during the five-year TerrAfrica Strategic Investment Program for sustainable land management. 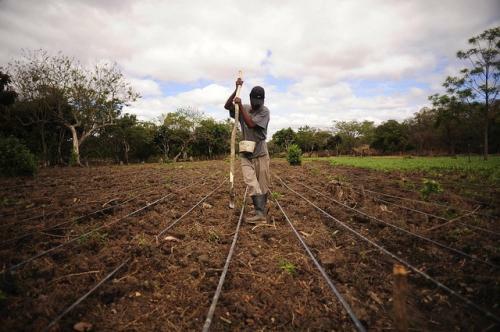 TerrAfrica is an Africa-driven partnership programme to boost sustainable land and water management techniques across sub-Saharan Africa. “Climate smart agriculture works through several dimensions to reorient agricultural development and management to take climate change into account,” Giacomo Branca, FAO expert on Climate-Smart agriculture, had told Down To Earth. One of the main features of climate-smart agriculture is that it considers adaptation and mitigation together in the context of building agricultural systems for food security. Climate-smart agriculture explicitly looks for where there are synergies and trade-offs among food security, adaptation and mitigation. The significance of it in the African context stems from the fact that the continent is predominantly rural with many small-holder farmers, Branca added. Climate-smart agriculture can help African farmers adapt to and mitigate climate change. Several agricultural practices contribute to both these goals simultaneously. When farmers plant trees to prevent land degradation, they also contribute to climate change mitigation by removing carbon dioxide from the atmosphere. There are projects that have a primary objective of reducing emissions by preventing deforestation and forest degradation. However, these can provide benefits to local communities as well. As Africa is drought prone, farmers need crop varieties and agricultural practices that continue to produce under extreme weather conditions. Efforts are on to breed new varieties of crops that are more resilient to erratic weather, especially to drought. Many farmers across Africa are using improved drought-tolerant and insect-resistant crop varieties that help them to improve productivity. Sonali Bisht, founder and advisor to the Institute of Himalayan Environmental Research and Education, an institute dedicated to sustainable development in the Himalayas, talks about how climate-smart agriculture can conserve soil health and make judicious use of water resources. What are the best ways to reduce greenhouse gases emissions associated with agriculture? The best ways to reduce them is to produce and consume (food) locally as much as possible (and) cut down on distances involved in travelling. Ecological and organic agriculture use on-farm and natural inputs and do not use chemicals produced in factories. Reusing of agricultural wastes rather than incineration also reduces greenhouse gases. We also have technology to use livestock emissions in productive ways. How different is the concept of climate-smart agriculture when compared to organic farming? Do you think organic farming shows us the path towards a more sustainable future? Agro ecology, conservation of agricultural diversity, organic farming using on-farm inputs, appropriate crop management to manage and sustain soil health and (ensuring the) health, safety and nutrition of food are the paths to a sustainable future. Do you think a global transition to a more resilient and sustainable agriculture that draws more on natural biological and ecosystem processes will help us achieve zero hunger by 2030? I certainly think so, provided (that) agriculture research institutions focus on research in this direction and national governments as well as international institutions commit themselves to it and create an enabling environment for farmers as well as other stakeholders (involved in) agriculture. How does the concept of climate-smart agriculture deal with the following problems: degradation of farmlands, increasing competition for land and water, stagnation in growth of cereal yields and impacts of higher temperatures, droughts and flooding? Climate-smart agriculture would ideally invest in and promote innovative, adaptive farming communities working towards restoring and conserving soil health. (It will also) use land and water optimally, do seed selection (judicially) and adapt to uncertain weather conditions armed with the knowledge of options, choices and resources to use them. In the present context f climate change, should we focus on producing more with less or should adaptation be the keyword? They are not mutually exclusive and agriculture is very site specific, so there cannot be universal solutions. Do you think climate-smart agriculture can prevent Africa’s food shortage and deal with Asia’s growing population pressure? Climate-smart agriculture is not an option. It is a necessity for now. The first pillar of climate-smart agriculture is productivity. Farmers need productivity, along with adaptation and mitigation efforts. India has witnessed one of its worst droughts this year. 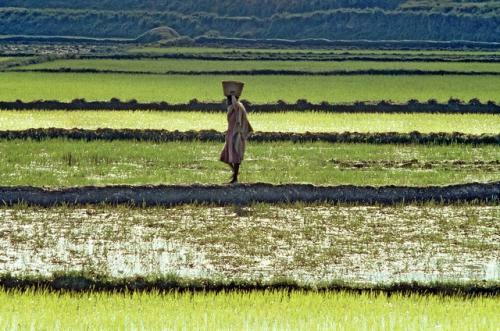 How will climate-smart agriculture help the country in managing its water resources better? Climate-smart agriculture should create readiness to deal with extreme weather conditions and weather uncertainties, which are becoming the new normal. Management of water resources cannot be left to governments. Every citizen and every farmer has a responsibility. Every climate-smart farmer would incorporate practices like farm ponds, bundings, trenching, mulching and other practices for conservation of soil moisture, use appropriate seeds and on-farm inputs (to avoid debt situations) and to have better access and control over required water resources. In what ways can climate-smart agriculture be used in mountain regions to ensure crop production? The Food and Agriculture Organization (FAO) has reported that approximately 78 per cent of the world’s mountain area is not suitable, or is marginally suitable, for growing crops. Mountain communities have lived in and farmed small parcels of land, terracing them and using them for their food and nutrition security. They have grown crops, raised livestock, fished and utilised forests sustainably. Research and resource support building on their own traditional knowledge and experience as well as natural advantages would enable them to do this even better for themselves and the larger community. Moreover, mountain regions have been repositories of agro biodiversity as well as knowledge of risk resilience, both of which are interlinked.